A 360 degrees in and out wheel detail and an ultra shine tire dressing + a second gel application, including wheel wells cleaned and shined. Engine compartment and undercarriage cleaned. A hand wash with Ardex Car Soap with carnauba wax and medium and light clay bar application to remove all surface contamination, protect and smooth the paint surface. 3 times vacuum of the interior. Shampoo of seats and carpets. Leather conditioner, headliner spot cleaned and all rubber and seat belts cleaned. Hand dried with a microfiber drying towel, and 2 times wax application by hand and machine. 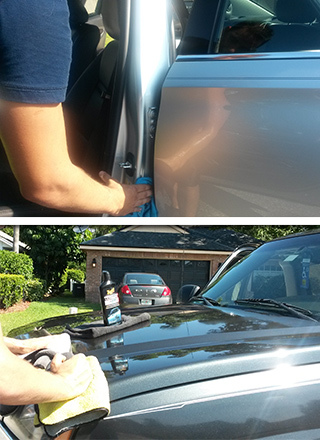 3 times Interior wipe down to remove dust and dirt from seats, consoles, dash, doors and radio, all compartments, windows, door jambs, trunk and hood. Recommendations for a Full Car Detail? 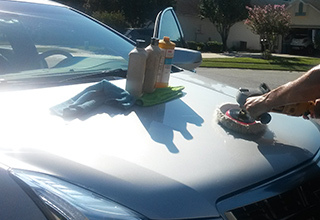 A full spa detail is recommended if you want to keep the value of your car as high as possible. We recommend it if you are taking the car to a car show. If you want to show off your car with your friends. 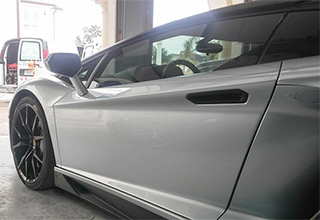 You would want a full car spa detail if you are trying to get your car back to feeling like it felt when it was brand new. You are selling your car and want to add as much value as possible. 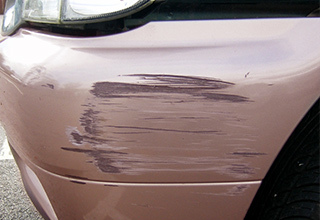 A full spa detail is not going to fix the problems that only a body shop can fix: Love bug damage, tree sap damage, scratches and fading. As for the interior, there are stains that seats, carpets and floor mats that are are permanent and impossible to remove. First, we use Ardex Pink Car Soap with Carnauba wax. Second, we used Ardex Green wheel cleaner. Third, Meguiar's interior clean. Fourth, Meguiars synthetic wax by machine and P21S wax applied by hand. fifth, a light clay bar. Sixth, window cleaner. Seventh, Interior protection. Eight, leather conditioner. Ninth, aluminum polish & chrome polish. Last, Ardex ultra shine water based tire shine . Call, text, or book a wash through this website to schedule the detail service you wish!